After a long day, there's nothing more I want to do but to unwind. One of my favorite ways to relax is to do my nails. Don't get me wrong, I love a mani and pedi (like most), but something about doing my own nails puts me at ease. And being a nail art fanatic, discovering Nailsnaps was perfection! 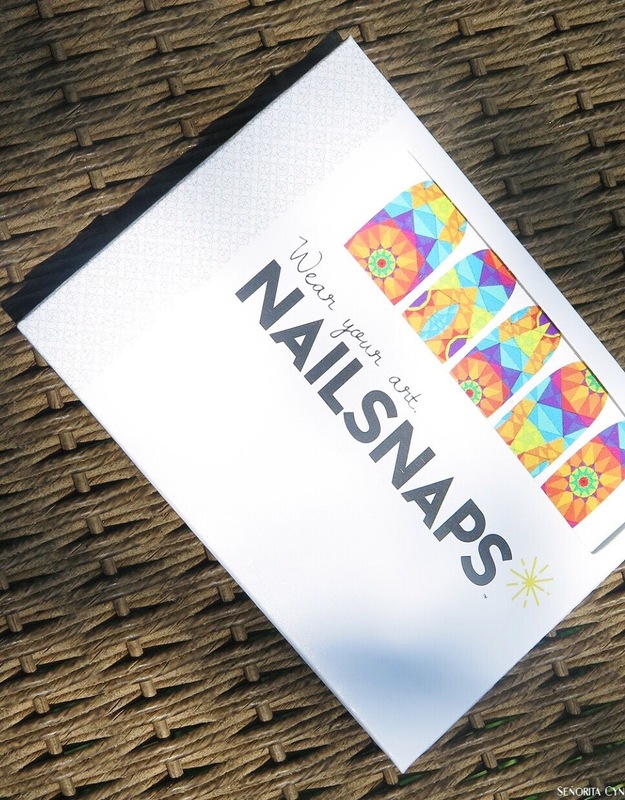 Nailsnaps lets you be your own nail artist right from your phone. With their mobile app, you are able to upload your masterpiece, order them and start showing them off as soon as you receive them! I decided to pick the Summer Solstice design because like the name says, it's perfect for summer. The packaging is cute and each set comes with two nail wrap sheets, nail filer and instructions on how to apply them. The wraps come in two sizes (petite and regular) which gives you more options to find the best fit for you. When I applied them, I used a mixutre of both and it made it easier. I love how they turned out and how easy it was to apply. Nail art is a great way to spice up your look all year around. Nailsnaps is great because it lets you customize all from your phone. Don’t forget to check out their website to start designing your own nail art. They have endless designs that you can purchase directly, and you can’t beat the price! If you’re a first time shopper, sign up to their mailing list to save 15% on your first order!